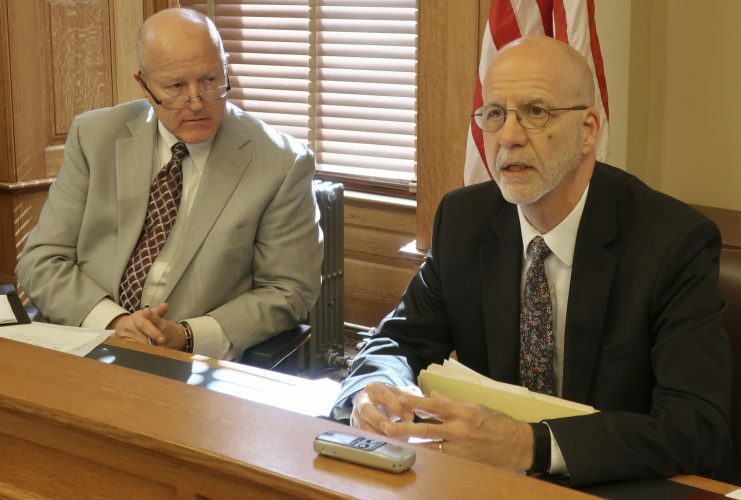 In this file photo from Nov. 28, 2017, then-Kansas interim Medicaid Director Jon Hamdorf answers questions from a legislative oversight committee. 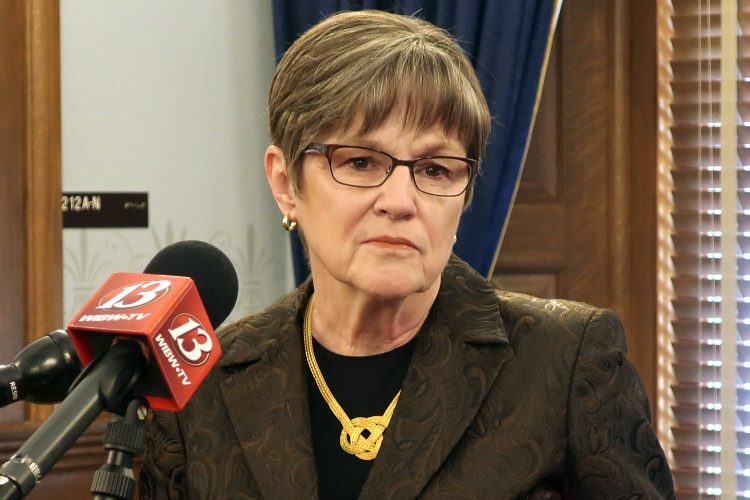 Hamdorf on Friday, Feb. 16 disclosed that the state sent the company that manages its Medicaid applications a noncompliance letter Jan. 30 that gives it until June 1 to fix problems that include only 40 percent accuracy on financial payments. Topeka ? 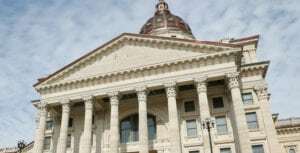 The company processing Medicaid applications in Kansas faces fines of up to $250,000 a day and the loss of its state contract because it is far out of compliance with the required performance standards. The Wichita Eagle reports that state sent Maximus a noncompliance letter Jan. 30 that gives the Virginia-based company until June 1 to fix problems that include only 40 percent accuracy on financial payments. 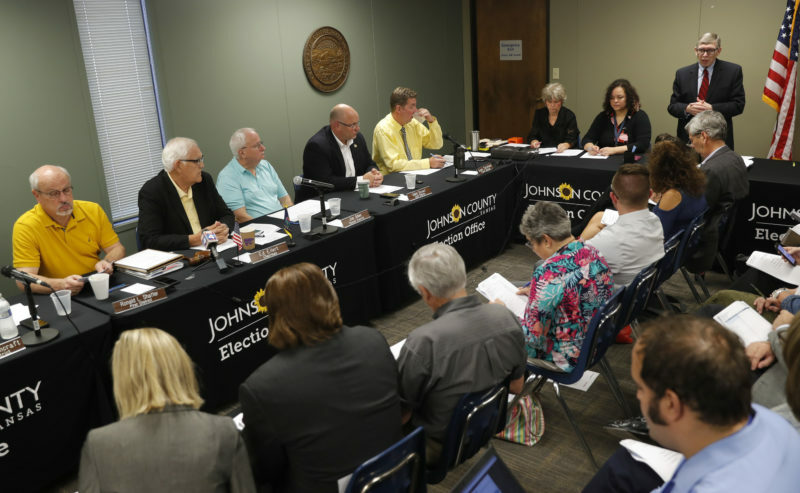 State Medicaid Director Jon Hamdorf disclosed the action during a meeting of a legislative oversight committee Friday. If the company fails to shape up, it could face fines retroactive to the beginning of the year, possibly totaling tens of millions of dollars. 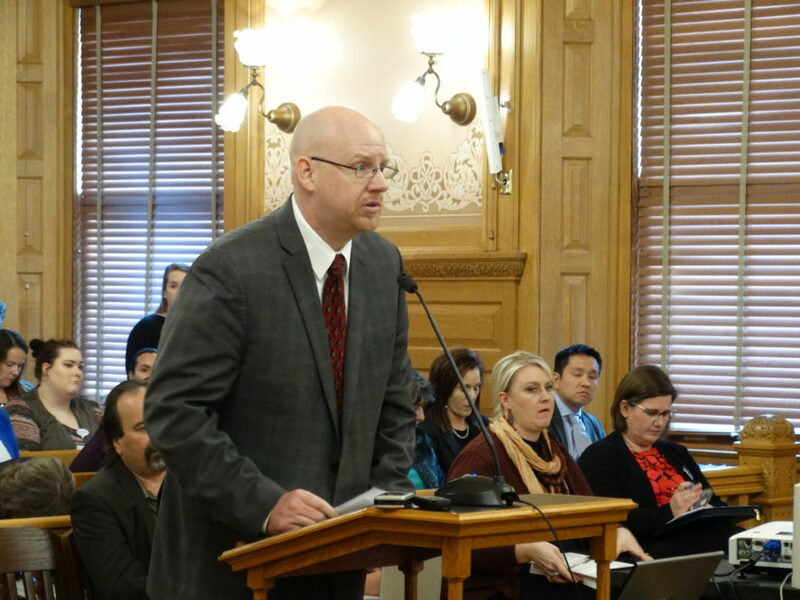 The oversight committee’s chairman, Republican state Rep. Dan Hawkins, of Wichita, said returning the processing of Medicaid applications to state workers is a serious possibility. “If they don’t get this fixed, they’re gone,” Hawkins said. Maximus spokeswoman Lisa Miles said the company immediately instituted a compliance plan and is committed to being in compliance by June 1. Miles said in a written statement that Maximus is working with the state on improvements to increase efficiency and accuracy and the time it takes to process applications. The Medicaid program provides health coverage to more than 370,000 poor, disabled and elderly Kansas residents. Maximus operates an application processing clearinghouse that employs about 350 people, including some state workers. 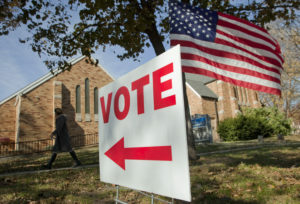 Kansas has experienced problems processing Medicaid applications since then-Republican Gov. Sam Brownback’s administration opened the clearinghouse in 2015. At one time, a backlog of unprocessed applications grew large enough to draw the attention of federal regulators. Hamdorf said an examination of the company’s performance on a single day — Feb. 7 — showed enough shortfalls that the company would have to pay $250,000 or more in fines for that day alone. The company is required to handle financial payments with 98 percent accuracy and has fallen behind on handling applications and cases, according to the state. The Medicaid director also described what he called a sense of despair among Maximus employees at the clearinghouse. “It’s a completely different work environment on our side of the house and their side of the house and I think that’s because we at the state value the employees that work for us,” he told legislators.